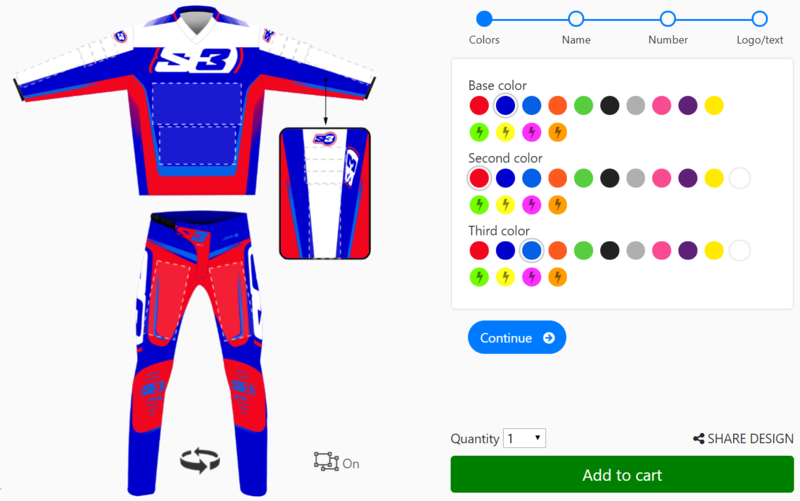 Click the button below to add the S3 Custom Gear - You Design to your wish list. Email us to get high resolution logos of our brands for that extra professional look! Jerseys fit very close to true to size. If you don’t want tight fitting pants order one size up. (example:If you wear size 30 blue jeans, a size 32 (MD) in trials pants will fit better.